Clean CARFAX. Lifetime Powertrain Warranty, Patty Peck Premium Certifyplus Honda with Lifetime Powertrain Warranty, Accord LX, 1.5T I4 DOHC 16V Turbocharged VTEC, Radiant Red, Lx Cloth, Alloy wheels, Auto High-beam Headlights, Distance pacing cruise control: Adaptive Cruise Control with Low-Speed Follow, Exterior Parking Camera Rear, Front Bucket Seats, Front dual zone A/C, Fully automatic headlights, Illuminated entry, Radio: 160-Watt AM/FM Audio System, Security system, Steering wheel mounted audio controls, Traction control, Variably intermittent wipers. Odometer is 1496 miles below market average! Priced below KBB Fair Purchase Price! 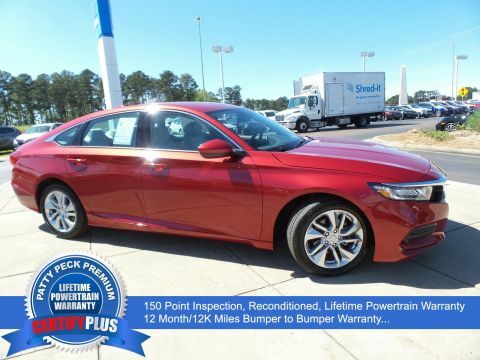 30/38 City/Highway MPGPatty Peck Honda - Mississippi's #1 Volume Honda Dealer - Large inventory of Honda Certified vehicles along with a great selection of other quality used cars, SUVs, Mini Van and Trucks. We offer Perfect Prices, Incredible Inventory and Superior Service. Come in and see for yourself how we make your car buying experience different. 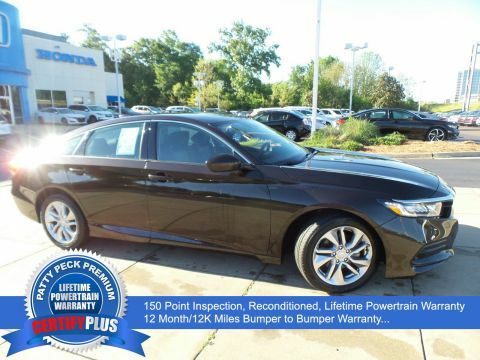 We are a Jackson MS area Honda Dealer located in Ridgeland. Recent Arrival! CARFAX One-Owner. Clean CARFAX. CertifyPlus Lifetime Powertrain Warranty, Patty Peck Premium Certifyplus Honda with Lifetime Powertrain Warranty, Accord LX CertifyPlus, Kona Coffee Metallic, Black Cloth, Alloy wheels, Auto High-beam Headlights, Automatic temperature control, Distance pacing cruise control: Adaptive Cruise Control with Low-Speed Follow, Electronic Stability Control, Exterior Parking Camera Rear, Front dual zone A/C, Fully automatic headlights, Radio: 160-Watt AM/FM Audio System, Security system, Steering wheel mounted audio controls, Traction control. Odometer is 4310 miles below market average! Priced below KBB Fair Purchase Price! 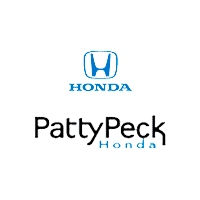 30/38 City/Highway MPGPatty Peck Honda - Mississippi's #1 Volume Honda Dealer - Large inventory of Honda Certified vehicles along with a great selection of other quality used cars, SUVs, Mini Van and Trucks. We offer Perfect Prices, Incredible Inventory and Superior Service. Come in and see for yourself how we make your car buying experience different. We are a Jackson MS area Honda Dealer located in Ridgeland.